The tradition of natural burials dates back to ancient times. Within the United States – most of the Native American Indian Tribes still practice natural burials today in the final stage of celebrating and committing back to nature – a life lived and loved. An adaptation of natural burial was practiced by many Native American societies in the Upper Midwest – in which the dead were placed in lavishly furnished tombs. 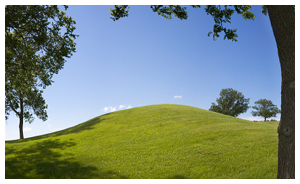 Over the past ten years – the term “Green Burial” has become an adaptation of natural burial. Just as there are many shades of “Green” among the eco-conscious throughout our society – so too are there many shades of “Green Burials”. As a full service funeral home – our professional associates will listen to what you want to do – advise you on variations available to celebrate the life lived – then handle all the necessary final arrangements & secure legal authorizations. Our professionally licensed embalming technicians are trained to prepare a human body with non-formaldehyde based solutions for those that prefer to view their loved one privately or with their relatives and friends in attendance. You may contact us by phone or email and one of our professional associates will help guide you through the entire process. 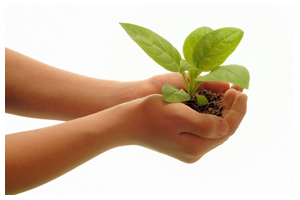 We assure you that any green services provided by our funeral home will be in accordance with your desire to be earth-friendly and environmentally conscious.